Hull Barrett, PC is pleased to announce that T. Paul Timmerman has joined the firm as an associate. Mr. Timmerman has a diverse civil litigation practice that focuses on commercial litigation, personal injury claims, medical malpractice defense, construction litigation, and general business claims. His prior experience in both private practice and the local prosecutor’s office has given him a strong background for trial work as well as matters resolved by mediation and arbitration. Mr. Timmerman earned a bachelor in science degree in civil engineering from Clemson University and his J.D. from the University of South Carolina School of Law in 2001. Mr. Timmerman will work out of the firm’s Aiken office and is admitted to practice in South Carolina. 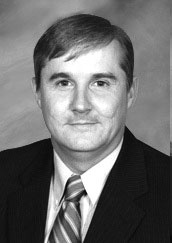 In addition, Mr. Timmerman is a member of the Aiken Bar Association and active with the St. John’s United Methodist Church. He is a native of Edgefield County, married to the former Amy Reece and they have three children. He is the son of Kathy McDaniel Timmerman of Aiken and Terry and Vickie Timmerman of Johnston. Founded in 1916, Hull Barrett, PC is a full service law firm with 29 attorneys practicing in Augusta and Evans, Georgia, and Aiken, South Carolina. Hull Barrett represents a broad client base of major corporations, small businesses, professional entities, financial and lending institutions, local governments, public authorities, public utilities, railroad companies, insurance companies, health care institutions and individuals. Hull Barrett, PC is a member of the International Society of Primerus Law Firms.